Jackson, Green and Preston are delighted to offer for sale this superb residential building plot, located in this private position to the rear of Great Coates Road, yet convenient for local amenities and access to Grimsby town centre.This site has the benefit of outline consent to erect a detached bungalow with detached garage - application number: DM/0943/18/OUT.A copy of the note of decision and accompanying plans are available for perusal online at the N.E.Lincs planning portal https://www.nelincs.gov.uk/planning-and-development/planning-applications/Enquiries may also be directed to Jackson, Green and Preston at the Grimsby office.Site PlanPlotTo View: Strictly by appointment with the Agents. Telephone 01472 311113 to arrange.Or call into one of our offices at:19 West St. Mary's Gate, 48a St. Peter's Avenue,Grimsby, DN31 1LE Cleethorpes, DN35 8HPProperty Management: Are you a Landlord tired of dealing with your tenants? Jackson, Green and Preston are delighted to offer for sale this superb residential building plot, located in this private position to the rear of Great Coates Road, yet convenient for local amenities and access to Grimsby town centre. This site has the benefit of outline consent to erect a detached bungalow with detached garage - application number: DM/0943/18/OUT. 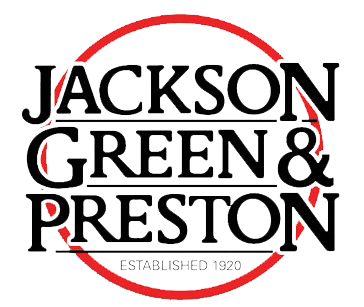 Enquiries may also be directed to Jackson, Green and Preston at the Grimsby office.